Racers covered by StripBike.com. Motorcycle drag racing events anywhere in the motorcycle world, NitroVoodoo, NHRA, Nitro Harley, local.Dragbikes, ProMods, Funnybikes. Australian Top Fuel Motorcycle Champion Chris Matheson is closing in on Perth, Western Australia to try and break his national record of 6.04 seconds, a record he has held since 2013! 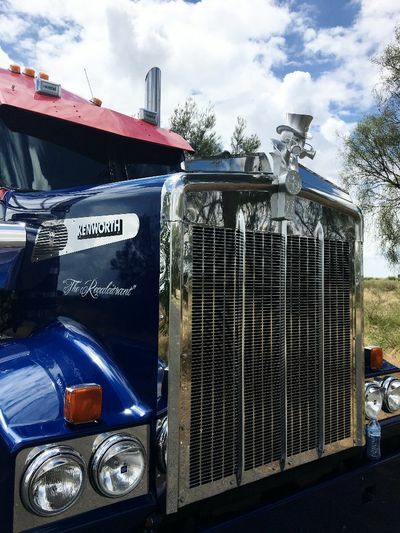 A 4-x time Australian drag racing champion, Matheson is on the road heading from Brisbane to Perth for this weekend's 47th MacTrack Westernationals at Perth Motorplex. 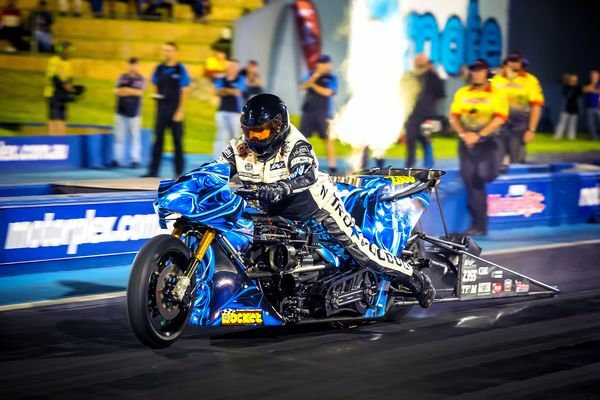 Following his 6.10 pass in the final of Top Bike at Santo’s Summer Thunder in Sydney in January, Matheson and his team are feeling confident that the “Nitro Voodoo” Top Fuel motorcycle can run even quicker and faster, providing the conditions are right. 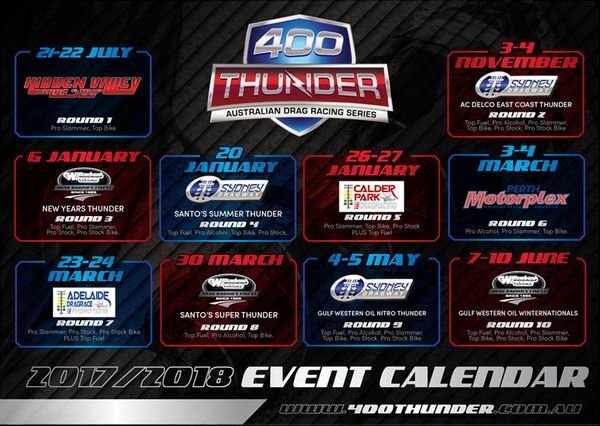 “We have run and won in the West on a number of occasions since first competing at the Perth Motorplex some seven years ago. It’s a fantastic facility and would be one of the best tracks in the world,” said Matheson. “It was a great boost to come off our win last month in Sydney. The engine is performing well and is making plenty of power to run some quick numbers. Despite the heat wave conditions at the time, the bike performed well and in the final, I recorded a run of 6.10 seconds. I was off the throttle early, indicating that it could have potentially been even quicker!" Matheson continued, “We have run quicker and I know the bike has loads of untapped potential left in it. We just have to pick our moments and tune to suit the conditions at the right time. However, myself and team are pumped and on a mission to run quicker again this weekend. “The Nitro Voodoo machine has been leading the Top Fuel motorcycle scene since its debut back in 2009. We have made a lot of history with this machine, but we are not done yet. “I still have a few more goals to achieve," grinned Matheson. “Top of the list is to have my name down as the quickest Top Bike racer at all national tracks. Secondly I want to improve on my PB of 6.04 seconds. 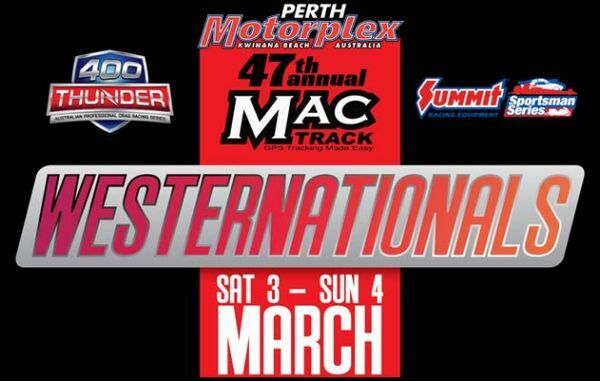 “We hold all major track records except Perth Motorplex, so I’m warning all the Perth drag racing fans to get out to the MacTrack Westernationals this weekend because I’m coming to take the track record home. It’s the last one on my list, and I want it bad! "The Top Bike ET track record for Perth Motorplex stands at 6.11 seconds and is held by local rider Jay Upton. Our best in Perth is a 6.12 ET, so we need to find another leg to step up and go one better,” said Matheson. 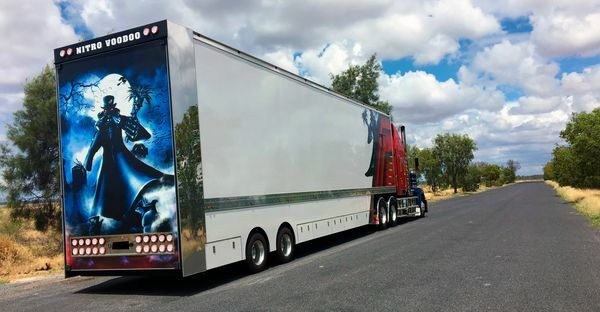 Matheson is currently en route to Perth in his Nitro Voodoo transporter and should arrive at the track on Wednesday 28th. 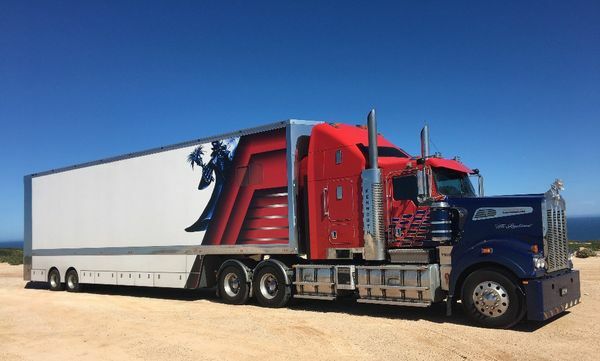 "We gave the trailer a little bit of a facelift with some new graphics," said Matheson. 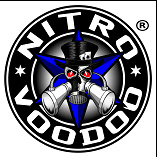 "The rear tailgate has a huge image of the "Nitro Voodoo" man and we added him on the front of the truck as our mascot. We encourage everyone to come check it out this weekend. He's not finished, but is well worth the look." Despite the long haul to Perth from Brisbane, Matheson will be well rested and raring to go. “The long days driving in the sparse central outback of Australia certainly give you plenty of time to contemplate many different things. “The 14-hour days in the transporter for a week each way certainly tests your mental fortitude, let along straddling a crazy fast motorcycle pushing out over 1500 horsepower at the end of the drive,” said Matheson. “But by the time I arrive at the track I am bursting with bright ideas, enthusiasm, and motivation just like a raging hormonal teenager. That can be dangerous, as enthusiasm needs to be measured and tempered, even constrained before you climb on the bike. “A level head always gets the results, not the testosterone,” grinned Matheson. "We are looking forward to mixing it up with the Perth boys. They are pretty tough when it comes to racing and that's just the way I like it." Matheson goes to Perth’s with a 118 points lead over his nearest rival in the 2017/18 Top Bike Championship after consistent performance results in the previous rounds of the 400 Thunder Professional Drag Racing Championship Series. Kitten Car Care Products, Rocket Industries, CRC, Web Cam Racing Cams, Larry McBride, World Wide Bearing Company, Boninfante Friction Inc, Performance Decals & Signage, Hi-Side Leather Repair, Performance Wholesale, GT Radiators & Machining, Boninfante, Great Southern Diesel Services and Ballistic Performance Parts.